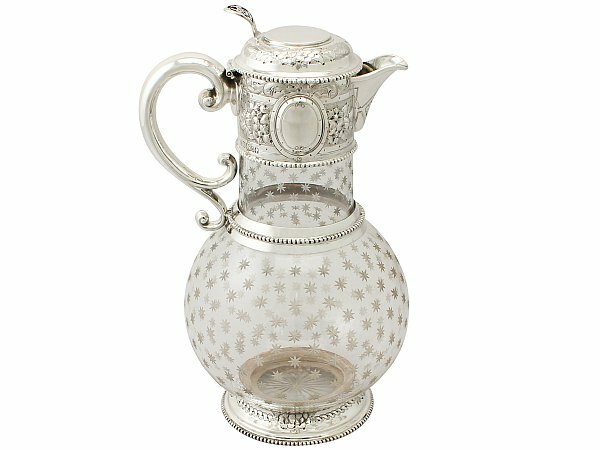 This exceptional antique Victorian sterling silver and cut glass claret jug has a circular, rounded bulbous form. 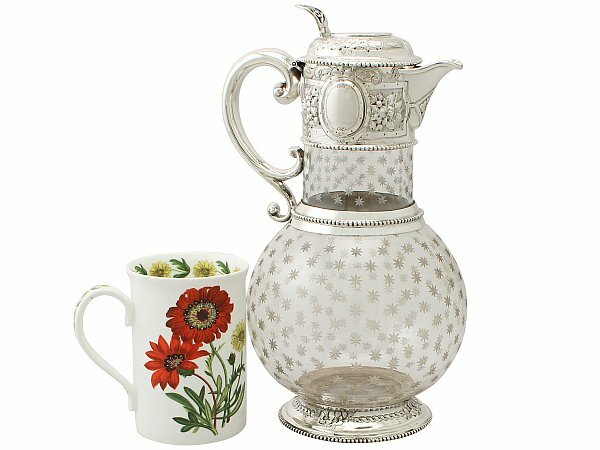 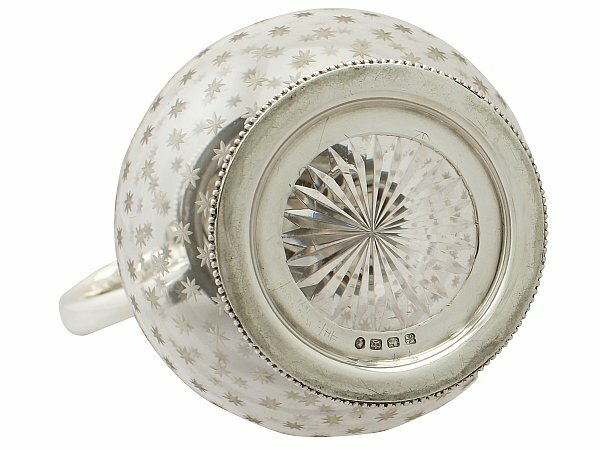 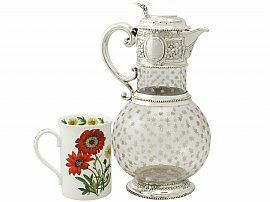 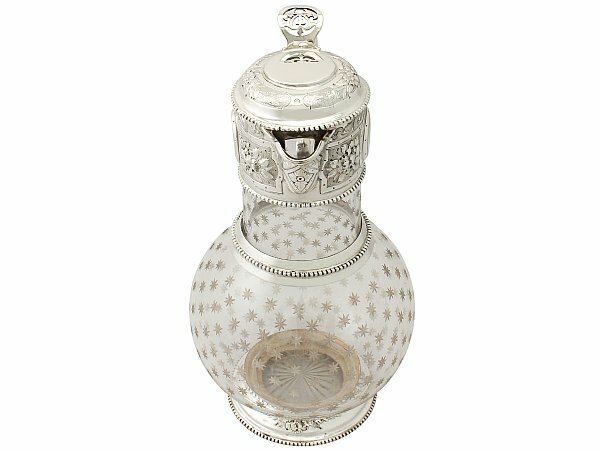 The cylindrical neck of the jug is fitted with an impressive sterling silver, hallmarked mount embellished with impressive chased floral spray decoration on a matte background, all encompassed with a plain border accented with simple drop motifs. 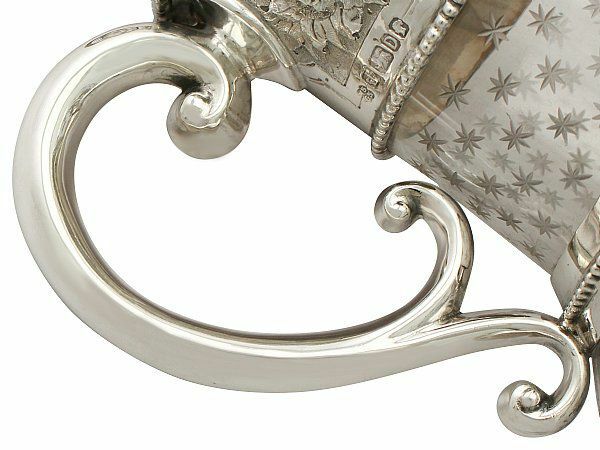 The decoration to the mount incorporates an oval vacant cartouche to either side. 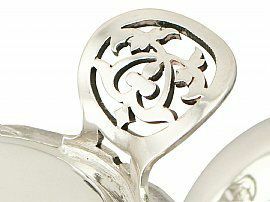 The underside of the plain spout features a simplified quatrefoil floral motif encompassed with a lozenge shaped border. 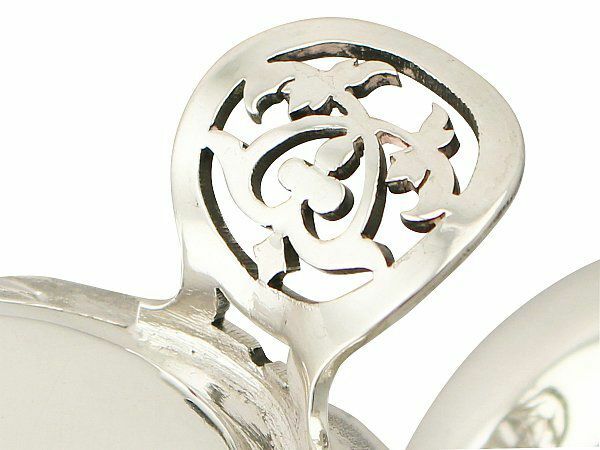 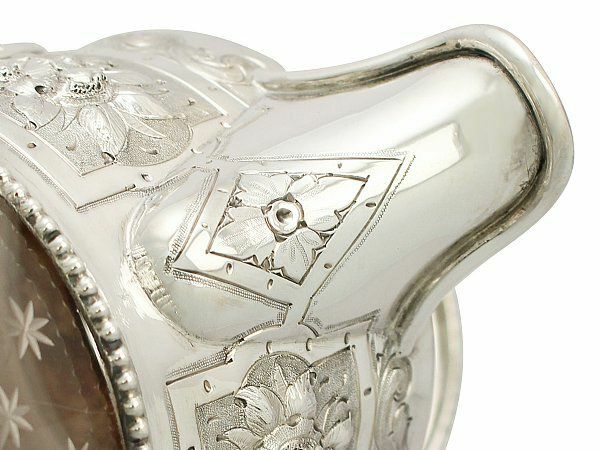 The mount retains the original hinged, hallmarked cover encompassed with further floral decoration and surmounted with an impressive pierced interlacing scrolling leaf decorated thumbpiece. The rim of the cover, lower rim of the mount and girdle to the glass body are encircled with applied bead decoration. 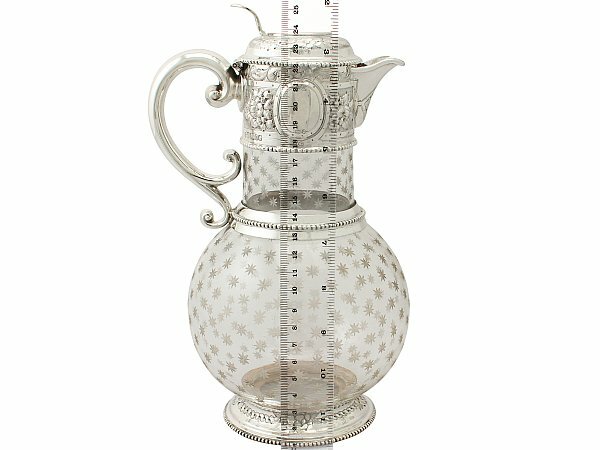 This antique Victorian claret jug is fitted with an impressive scrolling handle with a scrolling bifurcating lower terminal. 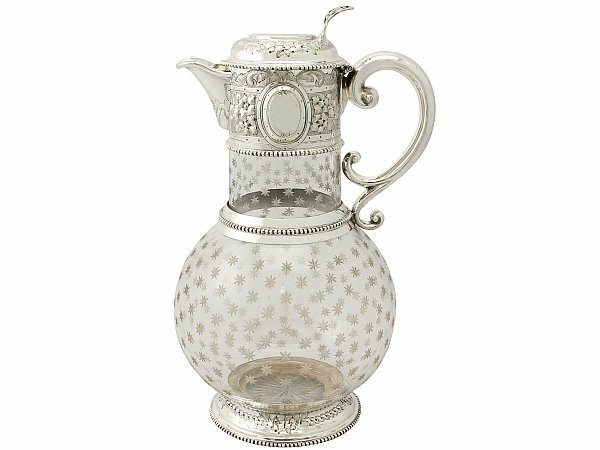 The glass body of the jug is embellished with cut glass star ornamentation, in addition to a star motif to the underside. 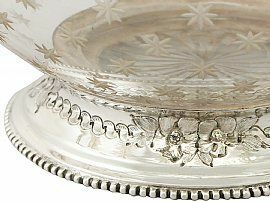 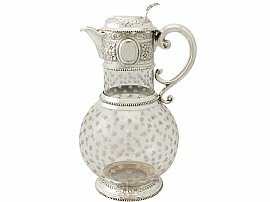 The base of the jug is ornamented with a hallmarked mount encompassed with chased rope twist and floral ornamentation and an applied bead decorated border to the rim; the silver overlay to the foot indicates the exceptional quality of the piece. This Victorian claret jug is an exceptional gauge of silver, exceptional quality and in exceptional condition. 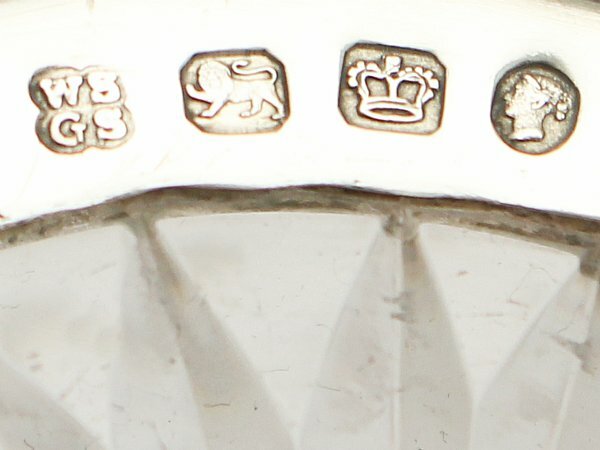 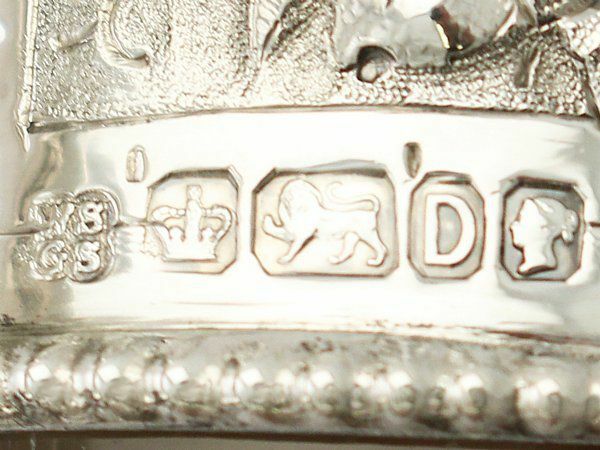 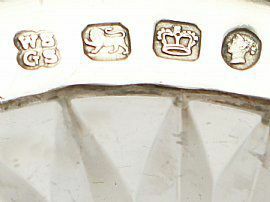 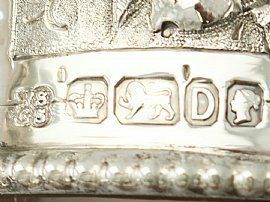 Full hallmarks struck to the surface of the mount and underside of the base and part hallmarks to the cover are all very clear. Length from back of handle to tip of spout 14.7cm/5.8"
Height to top of thumbpiece 25cm/9.8"